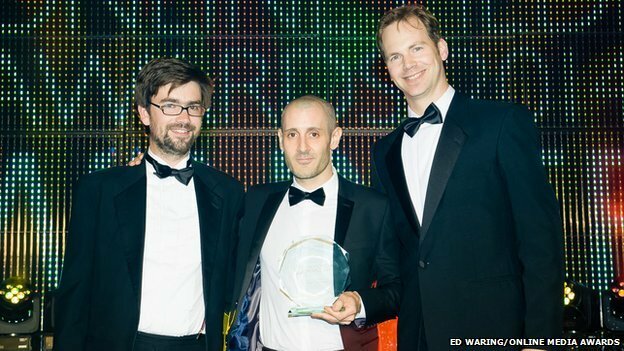 Congratulations to Greig Watson, pictured above right, from the BBC East Midlands newsteam, who has won a special award in the 2014 Online Media Awards for the team’s project to build a complete pictureboard of all 133 aircrew who took part in the Dams Raids. 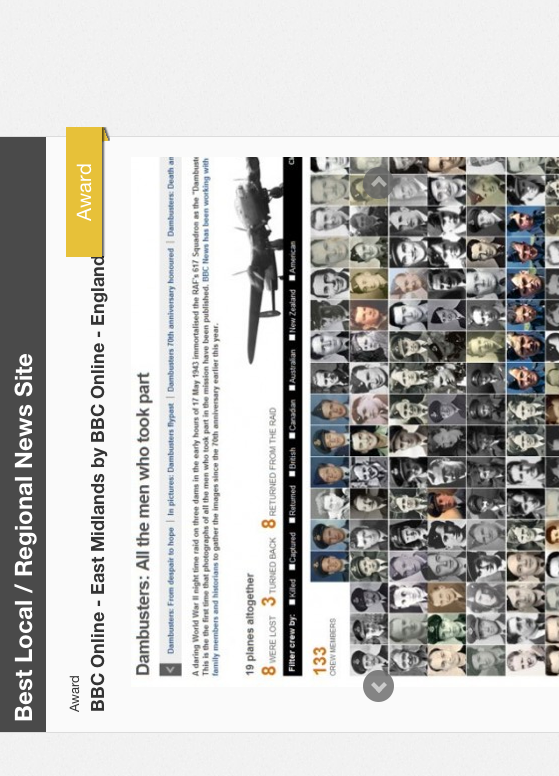 The judges praised the East Midlands website, which won the Best Regional News award, for being well organised and timely with a good range of features, and singled out the Dambusters story for special mention, recognising the historical importance of the work. Totally justified–just overdue I’d say. Being a big “Dams” fan from a very early age,i would just like to say,”Well done”,all of you. Ditto to both Philip’s and f88volvo’s comments. This award is WELL deserved. There is only ONE Blog site I archive and “Dambusters” is it….Congratulations Greig!